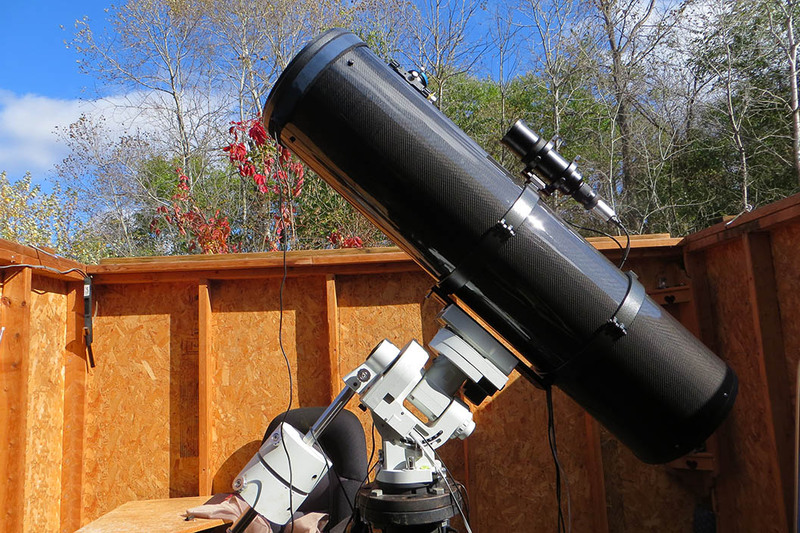 My current primary optical tube is a Telescop-Service (TS-Optics) 10 in. f/5 carbon fiber Newtonian.. Other current scopes are Pentax 75 EDHF refractor and Astro-Tech 8 in. R-C (second round for this choice). Although the Pentax was produced in the 1980's, it can hold its own in comparison to most APOs on the market today. 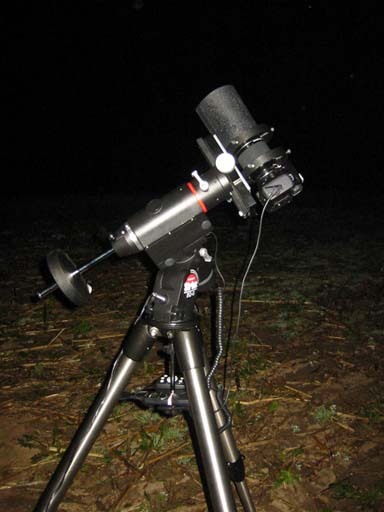 It is an amazingly sharp, flat-field scope. It's also quite a rarity. I doubt I will ever let this one go. My permanent mount is an iOtron CEM60. I guide with a QHY 5 L-IIM camera on a 60mm guide scope. 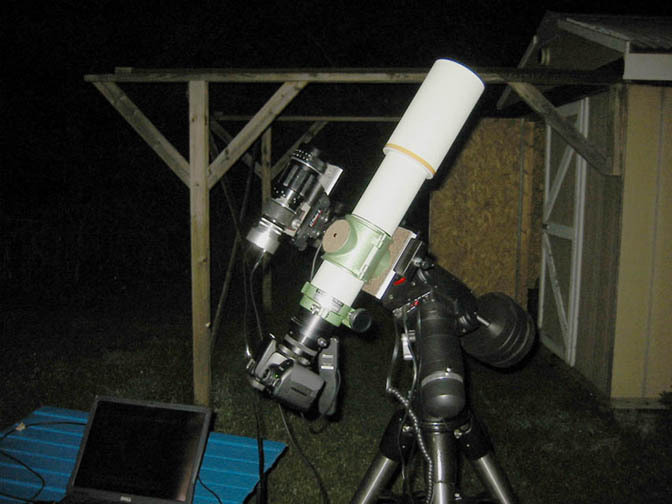 My field mount is an Orion Sirius EQ-G. I guide with the SSAG on a 50mm guide scope. As you can see in the photos below, I have also utilized other "guide scopes" in the past. I have found that inexpensive M42 mount lenses work very well in this regard. Adapters allow for direct threading of the guide camera onto the lens, providing a very solid unit. I currently have two cameras for imaging: and SBIG ST-8300 with Baader filter set and a Hap Griffin modified Canon 650D (T4i).